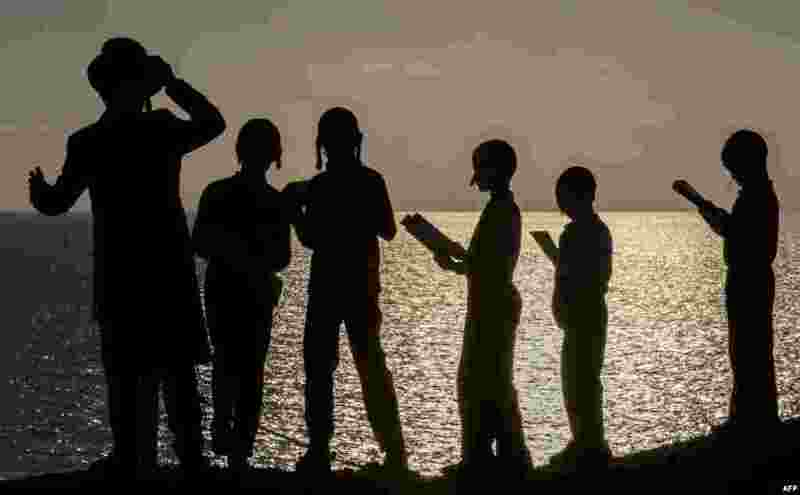 1 Ultra-Orthodox Jewish boys pray along the Mediterranean Sea in the Israeli city of Herzliya, near Tel Aviv, while performing the "Tashlich" ritual, in which "sins are cast into the water to the fish". 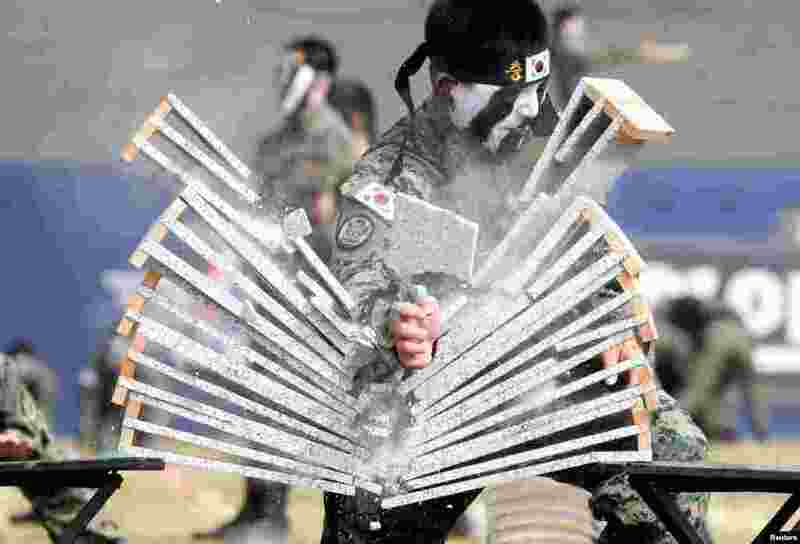 2 Members of the Special Warfare Command give a demonstration of their skills in the traditional Korean martial art of taekwondo ahead of a celebration to mark the 69th anniversary of Korea Armed Forces Day, in Pyeongtaek, South Korea. 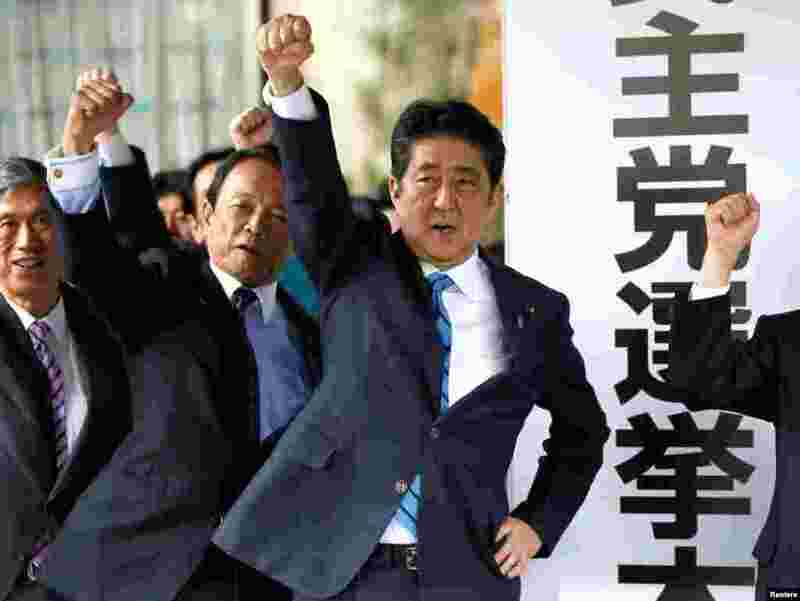 3 Japan's Prime Minister Shinzo Abe (3rd L) and his party's lawmakers raise their fists as they pledge to win in the upcoming lower house election, at their party headquarters in Tokyo. 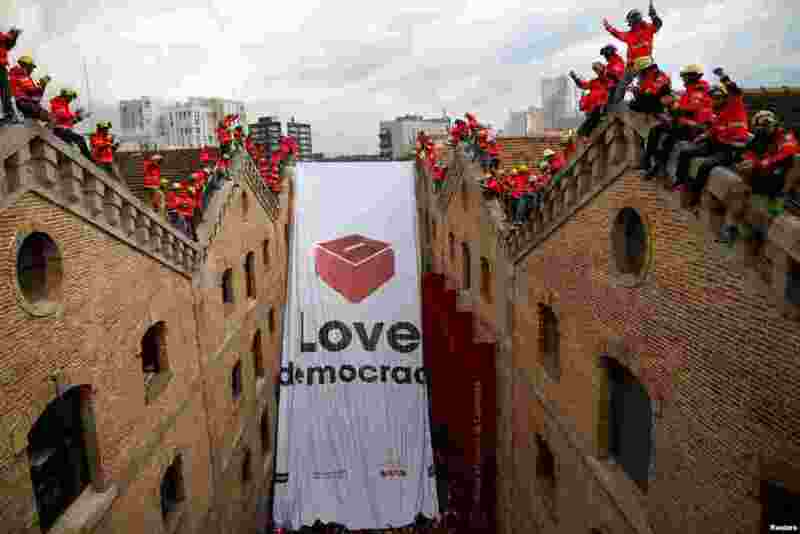 4 Firemen react as they hang a huge banner in favor of the banned October 1 independence referendum at the Catalonia's History Museum in Barcelona, Spain.